Just another peek. I love this fabric. It seems to get softer the more you handle it. The dress is constructed, save the sleeves. I will do that today. 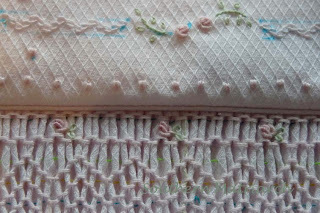 A commenter asked the other day when discussing French seams about setting in sleeves. 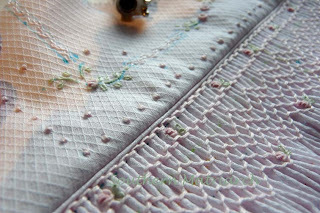 Yes, you can do the French seams with gathered fabric to set a sleeve in "in the round." I set in almost all sleeves in the round. That is what is most comfortable I think. 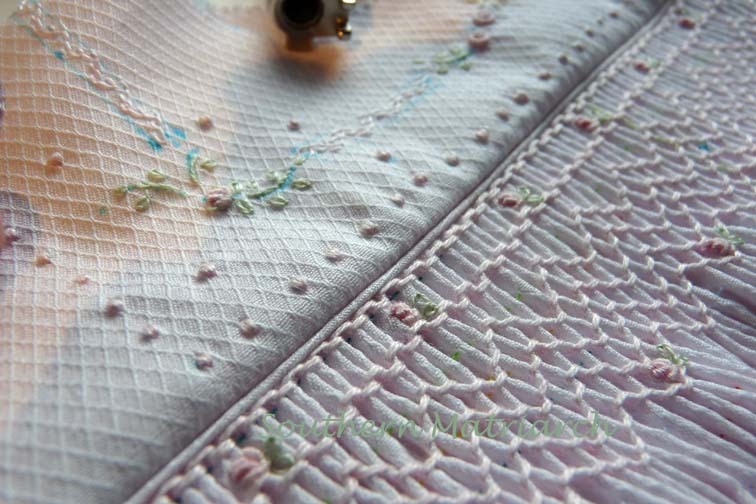 After I set in the sleeves, it is trim the neck with entredeux and lace, attach the lace edging to the hem and sleeves, then buttons and buttonholes. Almost there. It needs a slip too. 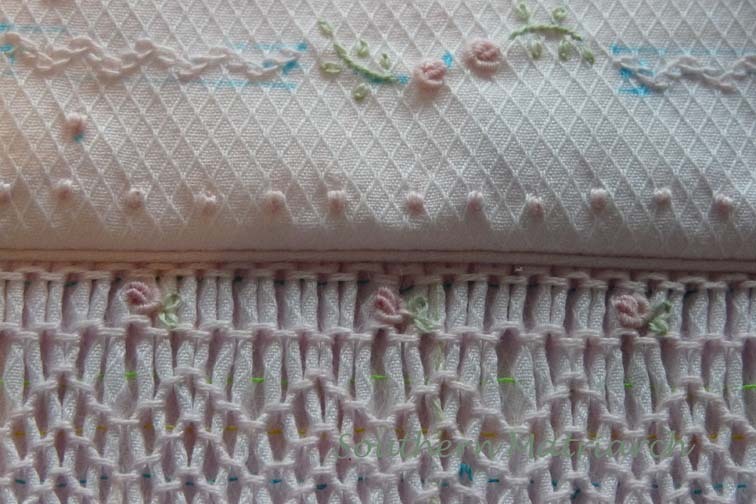 I have a couple of quick things I want to do, then it is onto the christening gown. Can I even tell you how crazy those few granitos on the right are driving me? It has been everything in me so far not to pick them out and redo them. It will depend on how "glaring" they are to me when the dress is finished. Be still myheart!!! Martha, this is just stunning!!! I must try that fabric. Have you designed the gown yet??? Love the fabric! It is not one I am familiar with, and I love how it pleated! We all want to use that fabric now. What's to see that isn't perfect? So pretty. I love that fabric, too. Makes me wish for a granddaughter. Martha, it looks lovely, you know you are your own worst critic. It's so, so sweet. I love everything about it. Granitos are one of my favorite stitches, but they sometimes get rebellious. I don't think you have anything to worry about with yours. 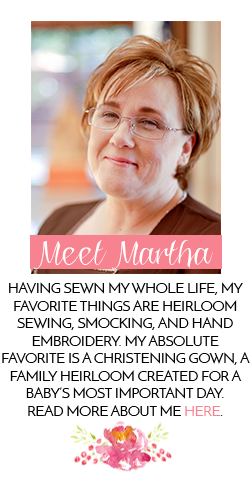 Oh, my, Martha, I can't wait to see the whole picture. This portends exquisiteness!